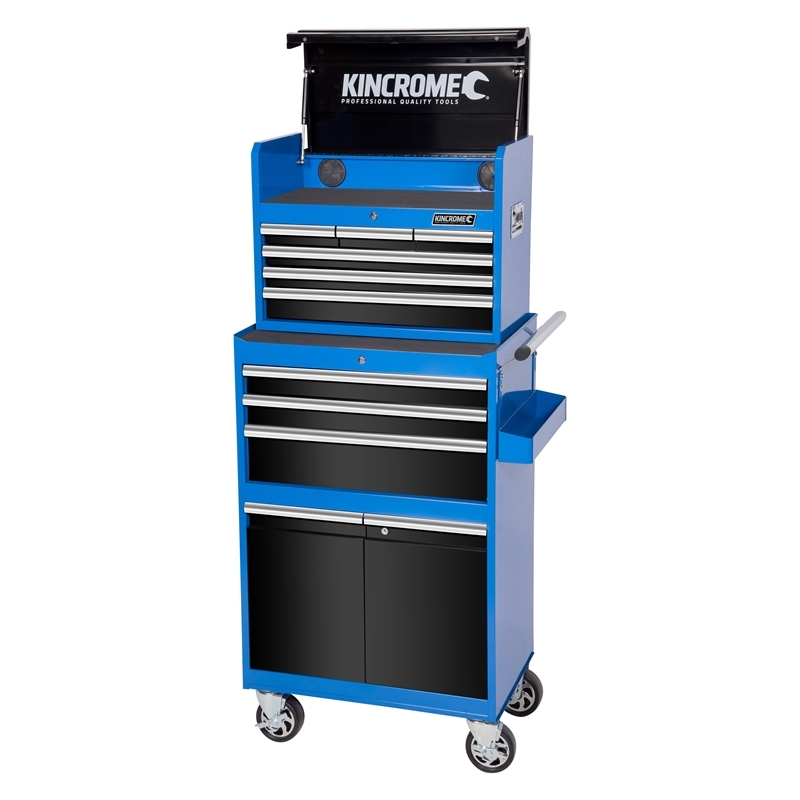 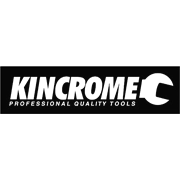 The Kincrome 9 drawer chest and trolley combo is a fantastic solution for any professional tradesperson or serious DIYer. 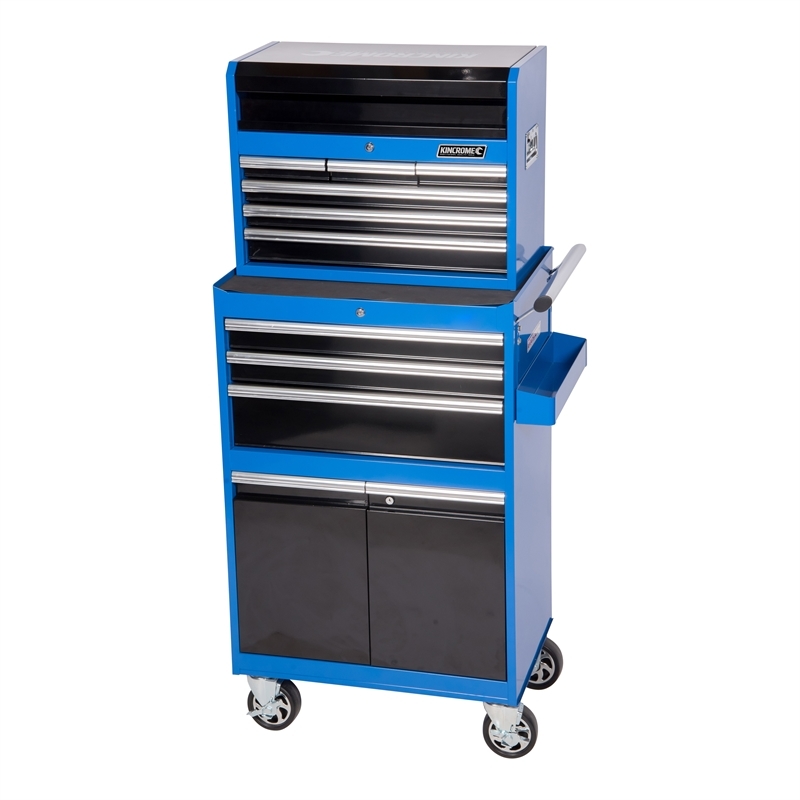 With heavy duty ball bearing slides and lockable swivel castors, this unit is perfect for any workshop. 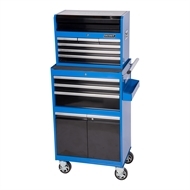 To maximise storage this unit has both a deep lid and a large lower storage cabinet, along with a security locking system to ensure your tools are secure. 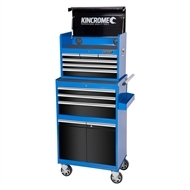 For ease of use, this combo includes both power access ports to route your power tool cables and a big grip trolley handle for comfort and greater manoeuvrability.